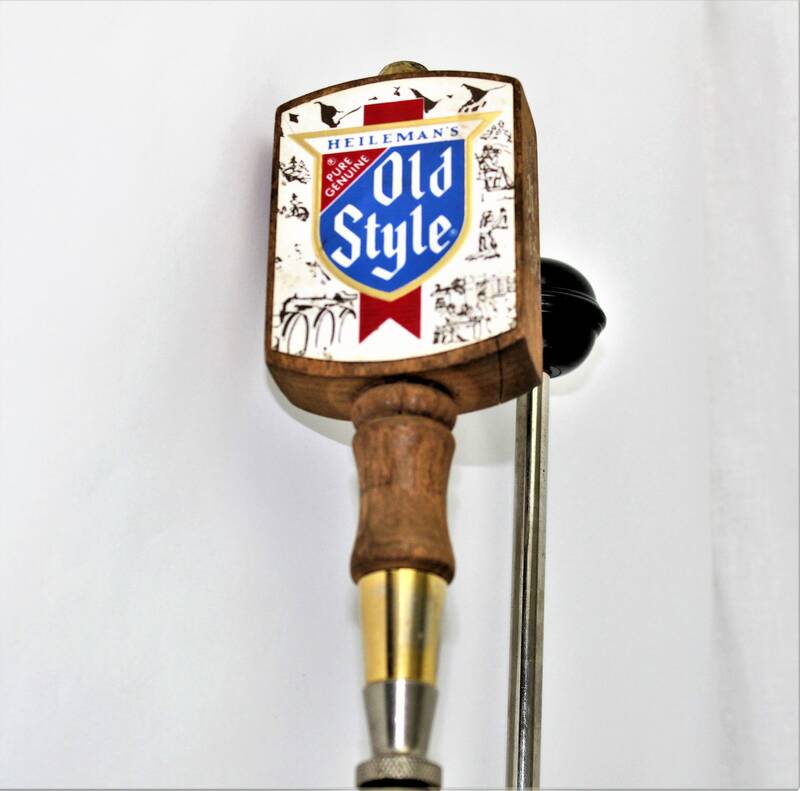 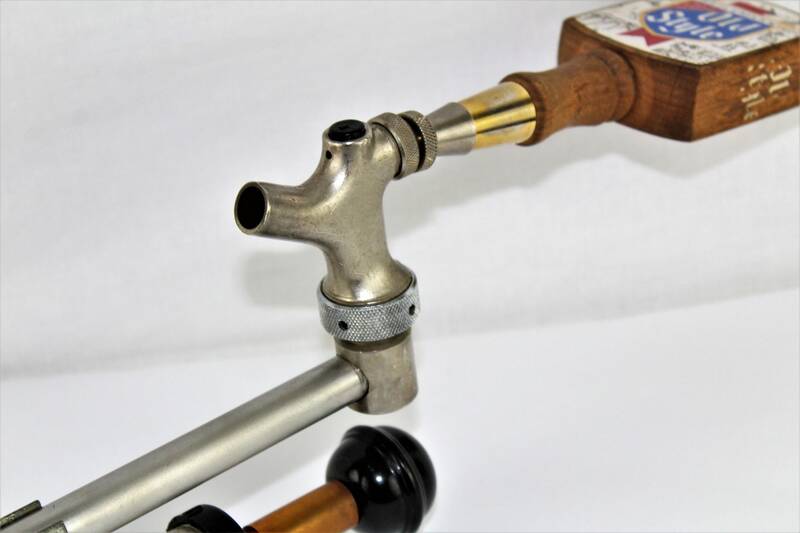 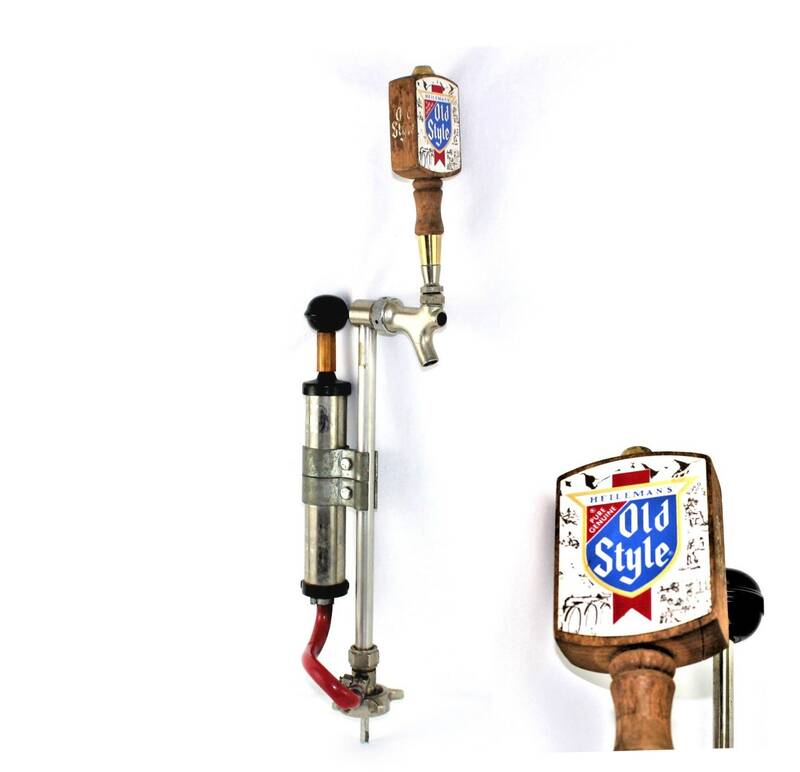 Brings back memories of backyard and tailgate parties 1960s Heilman’s Old Style Beer wood handle keg tap. 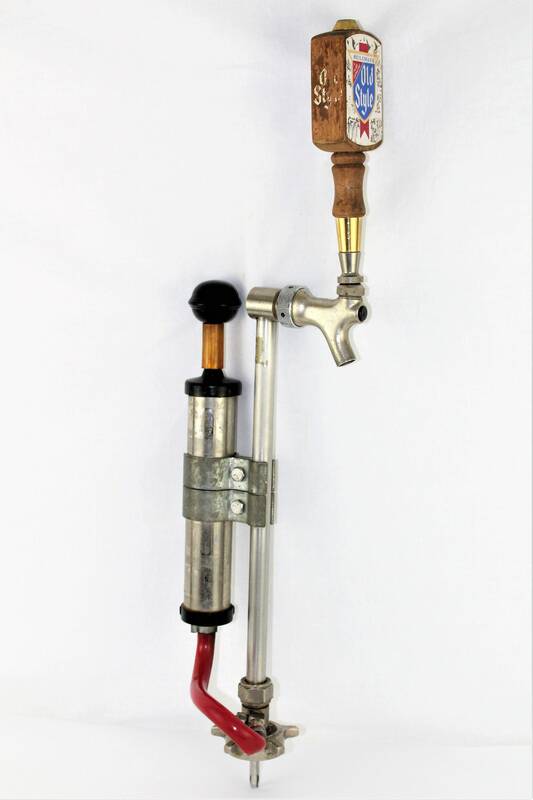 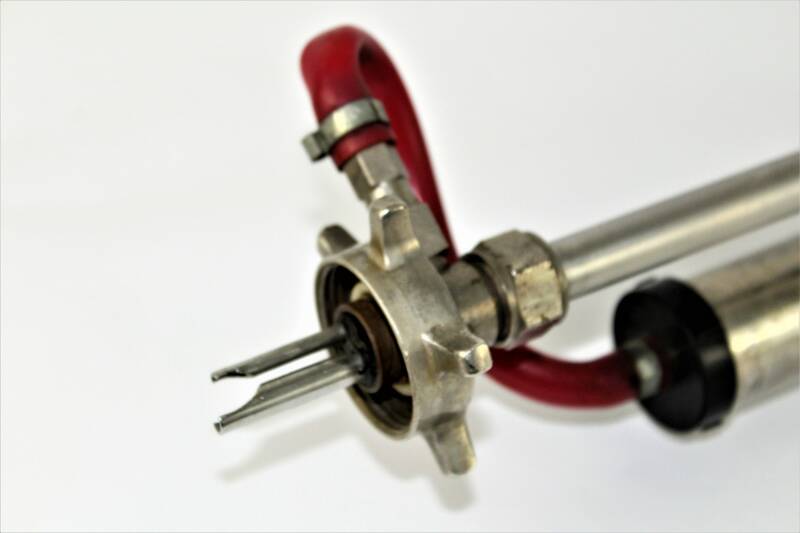 This pump action tap is designed to fit onto a 16- or 8-gallon beer or soda keg. 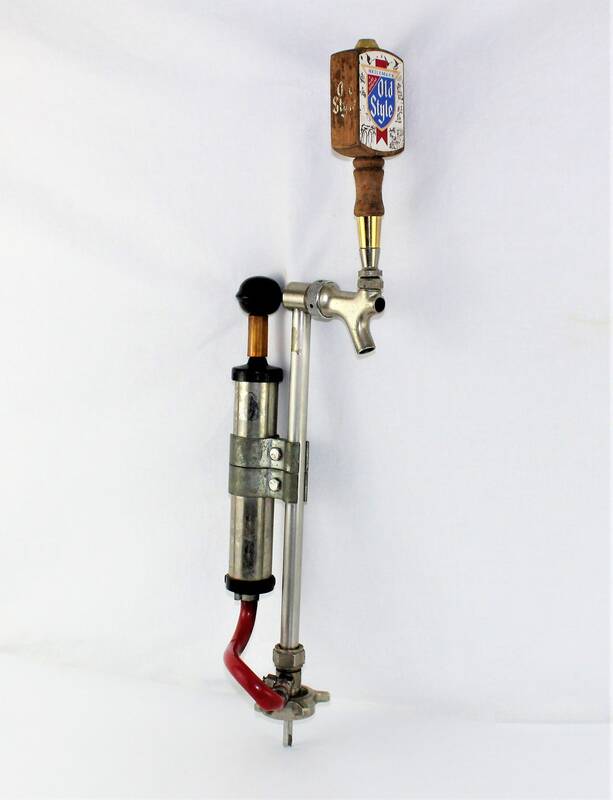 Perfect décor for any man cave or bar. 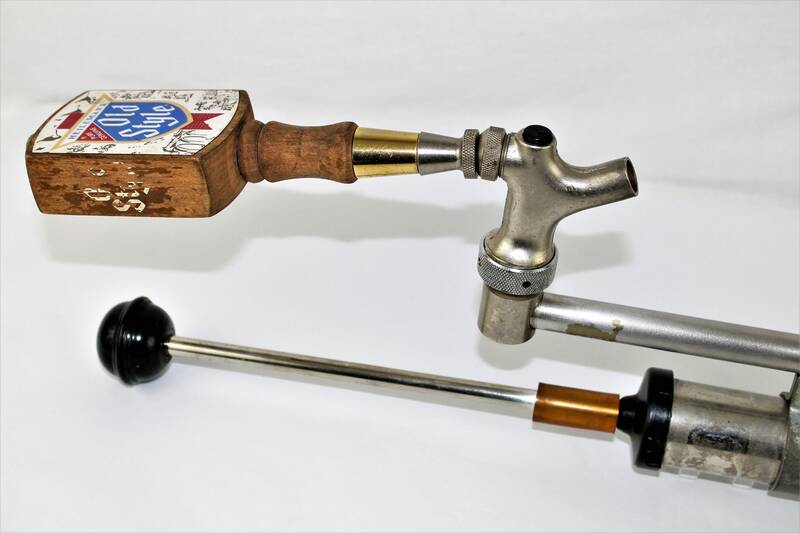 Condition: Vintage used condition, wood handle shows wear. 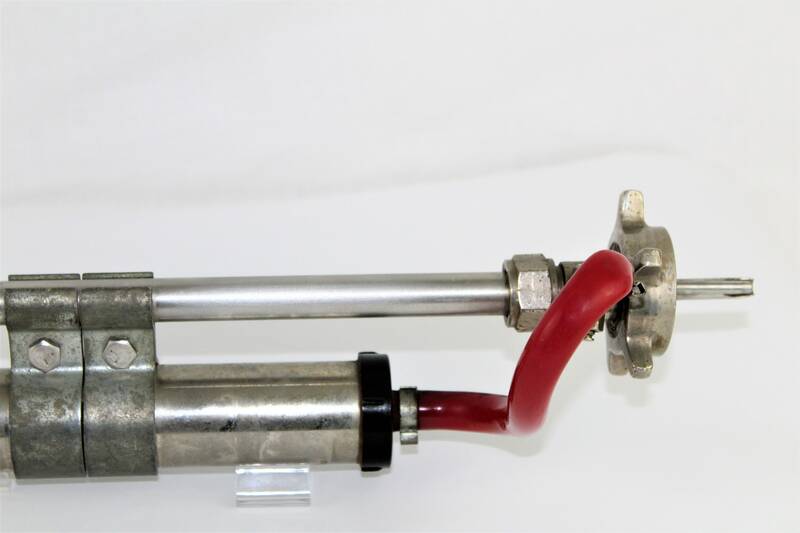 Pump has good compression. 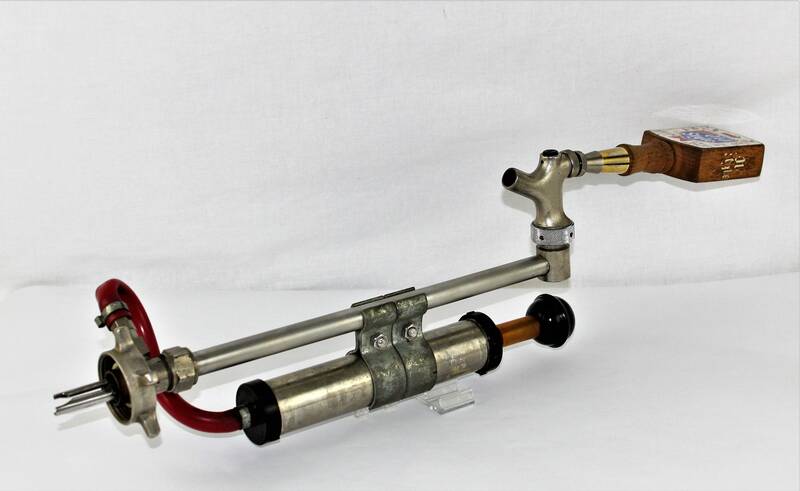 Untested sold as is.